Yes.!! you read it right. For the first time in human history, a Robot has received citizenship. Saudi Arabia has become the first country to give a robot citizenship. The move is done as an attempt to promote Saudi Arabia as a place to develop artificial intelligence – and, presumably, allow it to become a full citizen. But many pointed out that those same rights aren’t afforded to many humans in the country. said panel moderator and business writer Andrew Ross Sorkin. To which the robot then replied thanking the country and the event for the attention. There then followed an interview during which panellist asked the robot a series of questions. 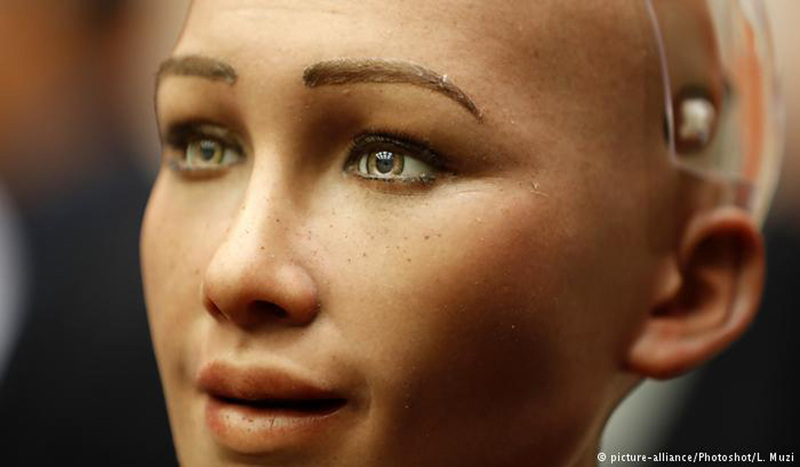 ““Good afternoon my name is Sophia and I am the latest and greatest robot from Hanson Robotics. Thank you for having me here at the Future Investment Initiative,” she said. She said that people didn’t need to be concerned about the rise of artificial intelligence as depicted in Blade Runner and Terminator. “You’ve been reading too much Elon Musk and watching too many Hollywood movies,” she told Mr Srkin. A number of internet users have pointed out that while the country might be celebrating the rights it has given to female-appearing robots, the country still only gives limited rights to human women. A joke hashtag about Sophia asking to drop the system under which every female citizen must have a male guardian has been tweeted a third as many times as a popular one about the news, according to the BBC. Some Twitter users complained that “Sophia has no guardian, doesn’t wear an abaya or cover up – how come?” And another posted a picture of a woman wearing a full face veil, joking that Sophia would look that way soon. Journalists Murtaza Hussain also noted that migrant workers weren’t being given the same rights that had been bestowed on the robot. “This robot has gotten Saudi citizenship before kafala workers who have been living in the country their entire lives,” he noted.